Every month we give away a prize to the reader who submits the best owner review. Over the course of April dozens of readers wrote to praise – or criticise – their own cars. We’ve read through all of the April submissions and picked out the best five. The best of the lot for April 2014 wins £50 worth of Amazon vouchers. For the best reader review in May we're giving away an iPad Mini, so if you want to be in with a chance of winning head to the owners review section and submit yours. Working in agriculture means Jeremy has a good background for testing a workmanlike 4x4 such as the Mitsubishi Shogun. Thankfully, Jeremy says that “off road it is unstoppable.” Jeremy praises the value for money offered by the Shogun compared to models like the Toyota Land Cruiser and Land Rover Discovery. 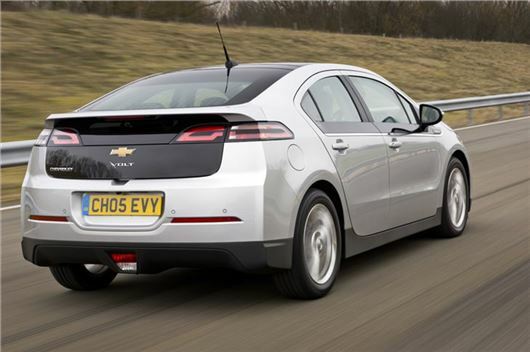 The Volt, also sold as the Vauxhall Ampera, is an interesting car in that it offers the strengths of an electric car with the advantage of a petrol generator for long trips. Those interested will be keen to read an owner’s review – and the one written by Youwontseemefordust is very good indeed. It’s clearly written and covers all of the vital points potential owners will want to know about, including charge times, range, quality, equipment and driving dynamics. That’s why we’ve picked it out as owner’s review of the month – so well done Youwontseemefordust, £50 worth of Amazon vouchers are on the way.